Who doesn’t like a good Batman story? Seriously, they’re gritty, dark, and make you feel better about any place you live because at least it’s not that crazy city! Captain Picard you are right, why does anyone still live in Gotham? Unfortunately, if you are looking for a pure Batman story, you’ll have to look somewhere else. 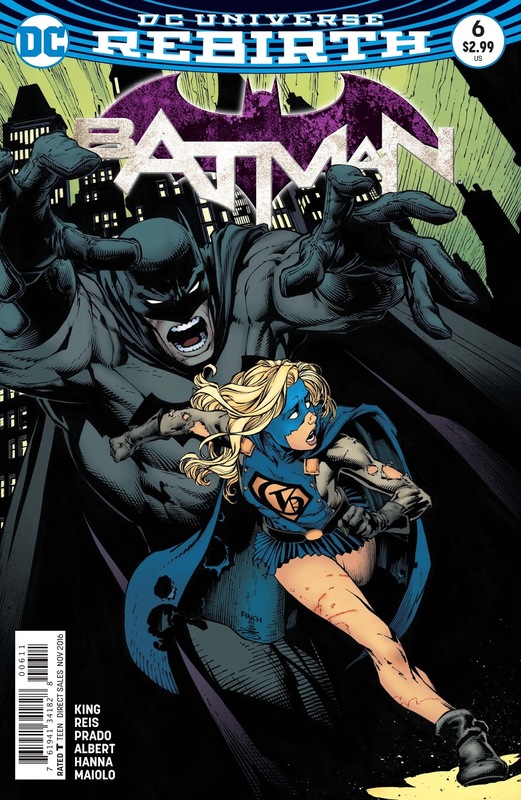 Instead, this issue focuses on wrapping up the Gotham Girl story that began at the start of the new Batman Rebirth. Claire spends a night searching Gotham for bad guys while talking to her brother as if he were the only person left to talk to. Batman tracks her and reveals his identity to her in an attempt to reach through her grief and show her that things will be okay, eventually. In the end though, this is the conclusion for Gotham Girl’s origin, and not necessarily a Batman story. 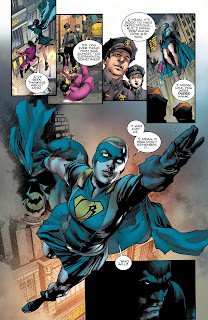 The issue does remind readers of the broken psyche of their favorite bat-costumed hero, as both Batman and Alfred draw parallels between the grief that Gotham Girl and Batman experienced, which is always a fun time to be had. While Gotham Girl has flung herself over the edge of crazy, Batman seemingly keeps to the line as much as he can, or at least he tries to convince others of this. The ending of this issues teases a certain infamous squad through an appearance from Amanda Waller and the mention of a suicidal mission, so for those of you who saw the recent Suicide Squad movie and haven’t had a chance to read them in comic book form, it’s coming! The Verdict: Not the best Batman story, but if you are looking for a conclusion to the ongoing Gotham Girl’s story, this is it. For those of you who have never pondered Batman’s psyche before, this also might be an interesting read to try out.